Stir honey, oil, soy sauce, ginger, red pepper flakes and garlic in a medium bowl. 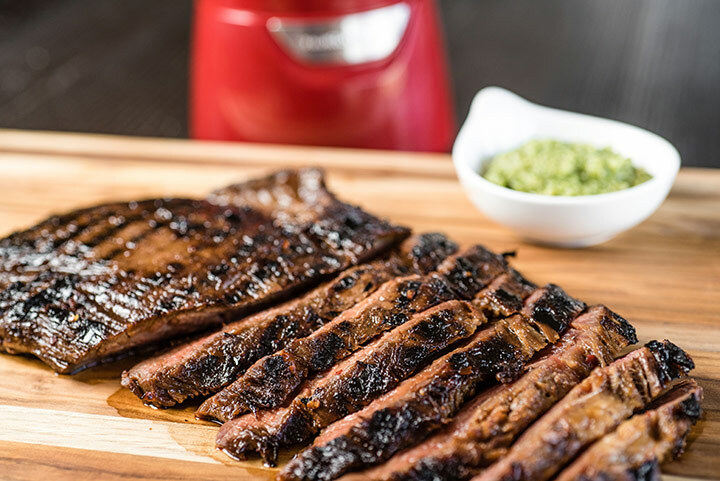 Place flank steak and sliced onion in a large plastic zipper bag. Pour marinade into bag; seal. Refrigerate several hours or overnight, turning bag over once. Drain meat and onions; discard marinade. Grill meat and onions covered 7 to 8 minutes on each side. Meat will be medium-rare (125°F to 130°F) to medium (131°F to 140°F) doneness. Let meat stand 10 minutes before slicing. 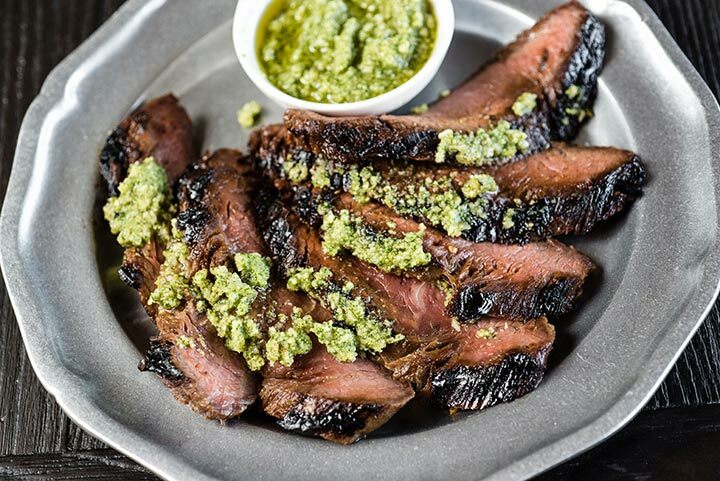 Bright green pesto adds color and is a fresh, zesty complement to grilled flank steak. 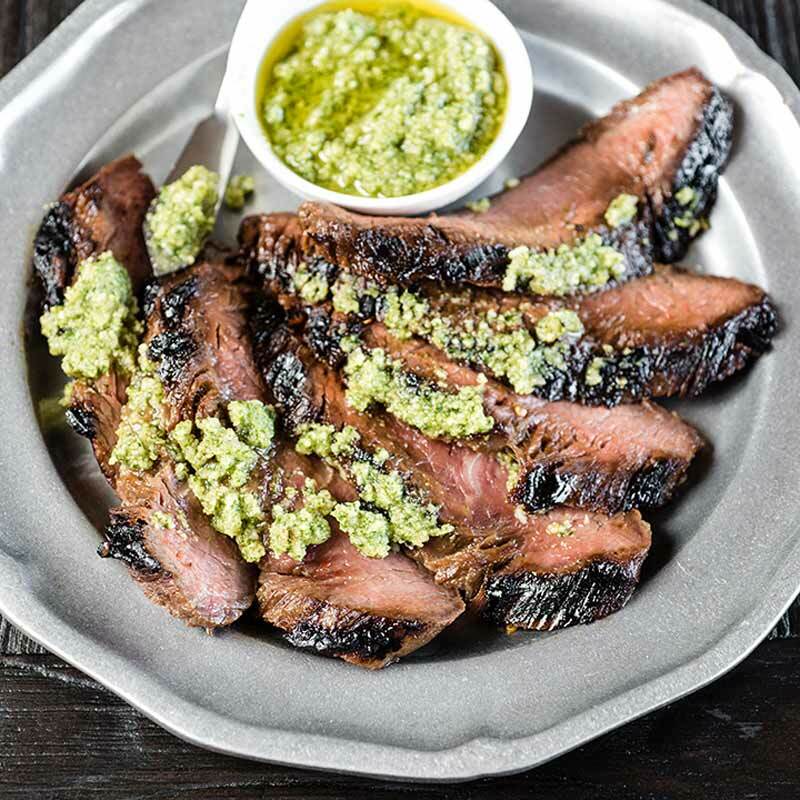 Arugula Pesto— a classic take on Traditional Basil Pesto— is our go-to topping for this grilled favorite. 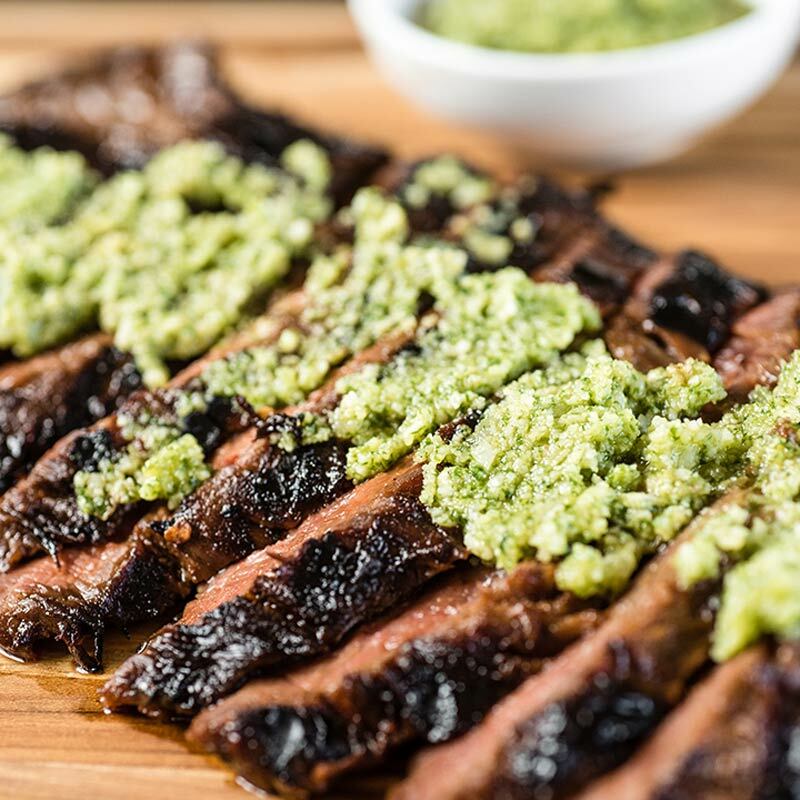 Serve pesto-topped flank steak alongside a bright salad and your drink of choice for the perfect grilled meal.